A small but classic rustic door using 100-year-olde gray New Hampshire barn wood is eye-catching hanging art that works perfectly into the brick and beam of Barewolf Brewing. A unique and rustic door compliments Vanity Hair Salon’s wall made from reclaimed wood. 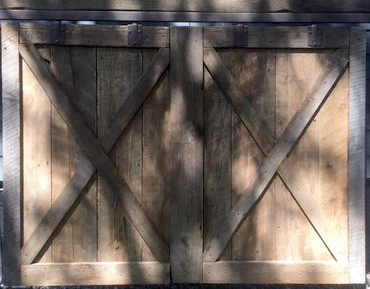 Imagine a custom-designed barn door, made from 300-year-olde pine gracing your business! Barewolf Brewing is located in the very next warehouse building from the Amesbury shop of Northshore Barn Doors. Doing what they love involves bringing us some of the finest beers around made by some of the coolest cats on the block. As a form of hanging art that works perfectly into the brick and beam brewery entertainment space. 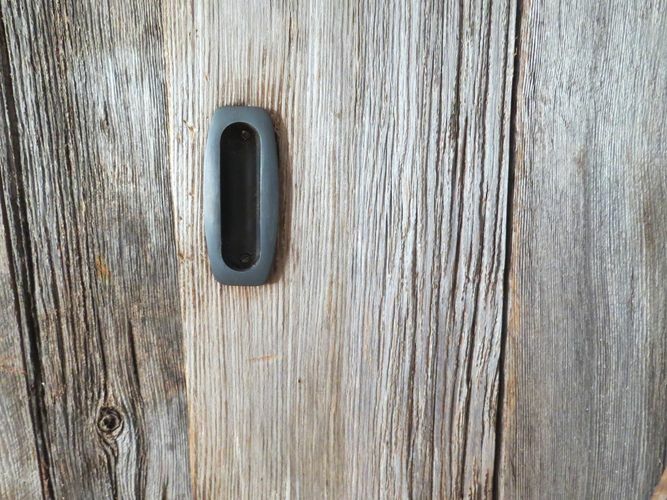 The Barndoorist created a small but classic rustic door using 100-year-old gray New Hampshire barn wood. 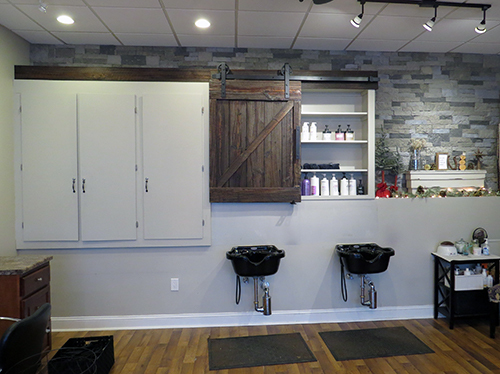 The Barndoorist created and installed an eclectic 3-foot by 4-foot barn door for hair product cabinets at Vanity Hair Salon in Wakefield, Massachusetts. This heavy but elegant door is a main feature seen when first entering the salon, looking towards the rear wall. The salon's owner Catie needed a unique and rustic door to compliment her beautiful studio that already has a wall made from reclaimed wood and features other trendy interior design qualities. 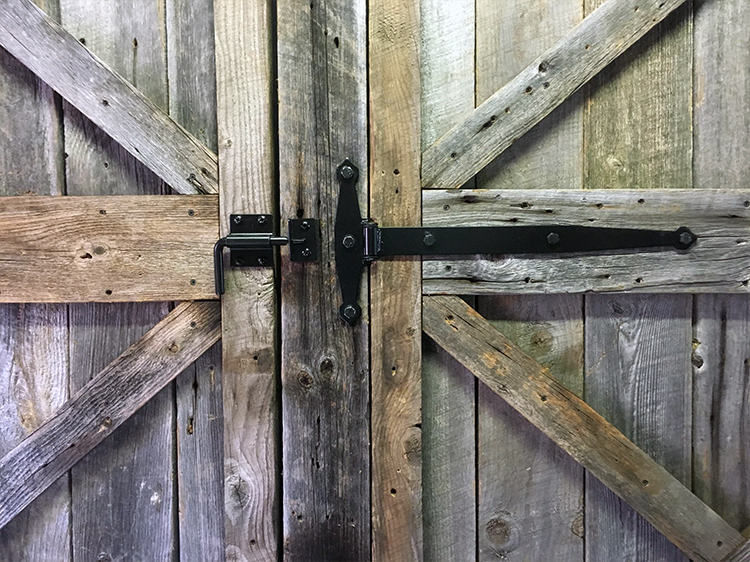 This door was made from two layers of 80-100-year-olde 1-inch-thick gray barn wood taken from an olde Connecticut barn shed and then coated with a sheen to create a classic and functional look and feel. The door needed to have quick and easy access so we constructed a large straight bar handle to match the other fittings of the door and its rail. 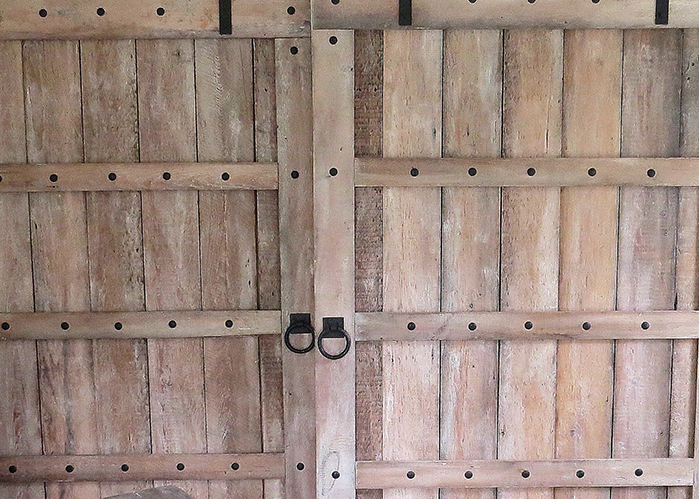 The door was also lacquered once so the wood would not get stained when staff needed to continuously open and close it when they may have hair product on their hands while working with clients. The Barndoorist normally does not coat woods, but in this case, the application was necessary and looks perfect!